There's nothing quite like a cold pint of beer to remind you that everything will be alright with the world - but what about a hoppy, alcoholic beverage that's been finely brewed by a booze-obsessed artificial intelligence? That's what the IntelligentX Brewing Company is offering with its new AI Beer. Yes, a brewery has designed a series of algorithms that actively improve its beer recipes over time - in fact, the company's Pale, Amber, Black and Golden varieties have been tweaked 11 times since the AI went live. 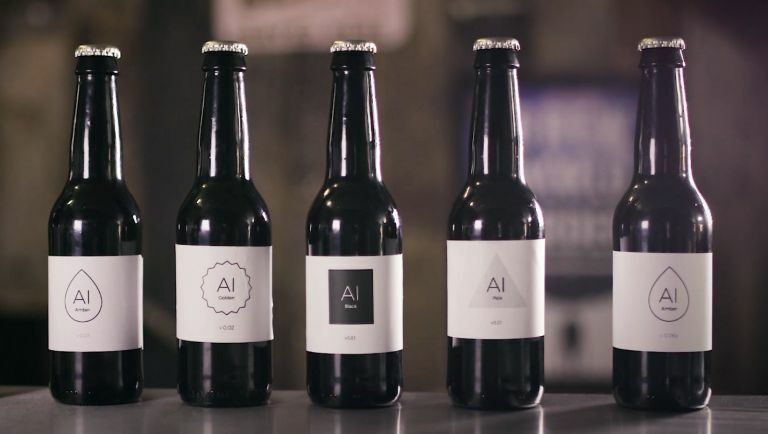 So does an AI make a bottle of beer better? IntelligentX says it's all about using an online feedback system that uses questions ranked from one to 10 to determine customer responses to its products. Said AI searches for trends and common opinions among all that collected data then actively tunes the current recipe so each beer can be brewed to the common taste. "After you've tried one of our four bottled conditioned beers, you can tell our AI what you think of it, via our online feedback system," comments IntelligentX on its official website. "This data is then used by our algorithm to brew the next batch. Because our A.I. is constantly reacting to user feedback, we can brew beer that matches what you want, more quickly than anyone else can. That means we get more data and you get a better, fresher beer." IntelligentX is the first brewery in the UK to offer such a future-proofed tipple, and if you're in London anytime soon you can head on over to UBbrew or order a taster online.